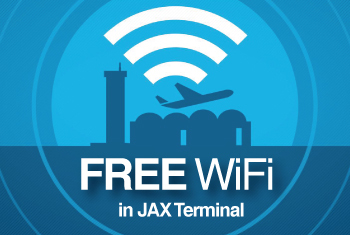 TSA PreCheck is now available for eligible passengers flying on participating airlines out of Jacksonville International Airport (JAX). TSA PreCheck allows select frequent travelers flying out of JAX on American Airlines, Delta Air Lines, United Airlines and US Airways to experience expedited security screening. Members of U.S. Customs and Border Protection (CBP) Trusted Traveler programs, including Global Entry, SENTRI and NEXUS are automatically qualified to participate, and Canadian citizens traveling domestically in the United States who are members of NEXUS qualify for TSA PreCheck as well. Individuals interested in joining a CBP Trusted Traveler program can learn more by visiting www.cbp.gov. TSA PreCheck screening benefits could include no longer removing the following items. If TSA determines a passenger is eligible for TSA PreCheck, information is embedded in the barcode of the passenger’s boarding pass. Passengers 12 and younger are also allowed through TSA PreCheck lanes with eligible passengers.